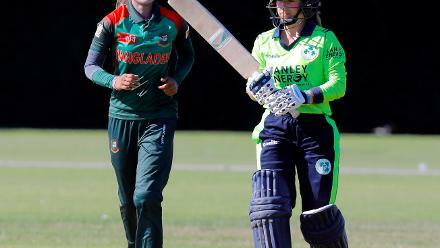 Final: Bangladesh Women v Ireland Women, ICC Women's World Twenty20 Qualifier at Utrecht, 14th July 2018. 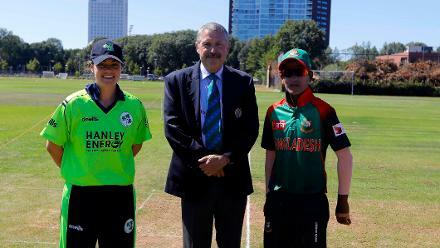 Bangladesh Capt Salma Khatun and Ireland Capt Delany and Match Referee Jukes ready for the toss, Final, ICC Women's World Twenty20 Qualifier at Utrecht, Jul 14th 2018. 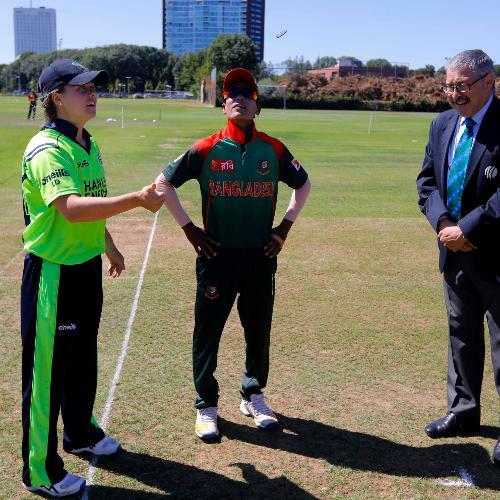 Bangladesh Capt Salma Khatun and Ireland Capt Delany at the toss, Final, ICC Women's World Twenty20 Qualifier at Utrecht, Jul 14th 2018. 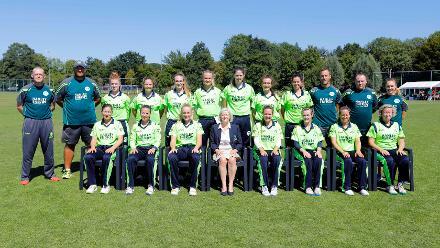 Ireland team group shot before the match Bangladesh v Ireland, Final, ICC Women's World Twenty20 Qualifier at Utrecht, Jul 14th 2018. 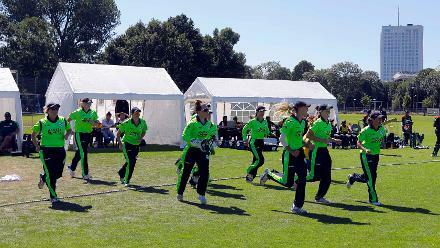 Ireland team take to the outfield, Final, ICC Women's World Twenty20 Qualifier at Utrecht, Jul 14th 2018. 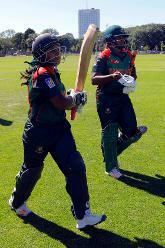 Bangladesh batsman Shamima Sultana and Ayasha Rahman walk out to bat, Final, ICC Women's World Twenty20 Qualifier at Utrecht, Jul 14th 2018. 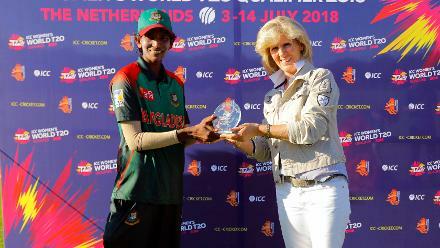 Bangladesh Batsman Shamima Sultana, 3rd Place Play-off, ICC Women's World Twenty20 Qualifier at Utrecht, Jul 14th 2018. 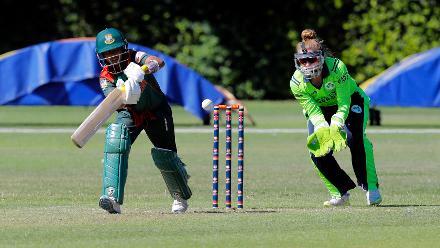 Bangladesh batsman Shamima Sultana is caught Richardson bowled O'Reilly, Final, ICC Women's World Twenty20 Qualifier at Utrecht, Jul 14th 2018. 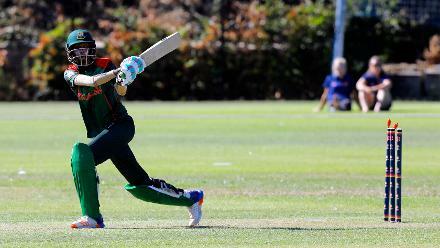 Bangladesh Pinky Plays a shot, Final, ICC Women's World Twenty20 Qualifier at Utrecht, Jul 14th 2018. 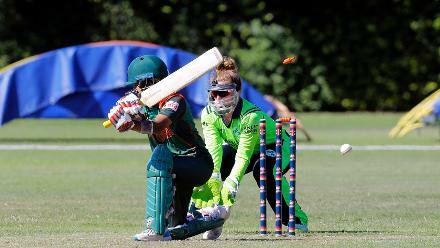 Bangladesh Player Pinky is bowled, Final, ICC Women's World Twenty20 Qualifier at Utrecht, Jul 14th 2018. Bangladesh Players celebrates the win over Ireland, Final, ICC Women's World Twenty20 Qualifier at Utrecht, Jul 14th 2018. Bangladesh Ayasha Rahman looks at the fielder after playing a shot, Final, ICC Women's World Twenty20 Qualifier at Utrecht, Jul 14th 2018. 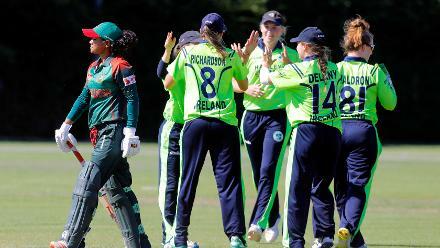 Ireland player celebrates the dismissal of Bangladesh batsman Sanjida Islam, Final, ICC Women's World Twenty20 Qualifier at Utrecht, Jul 14th 2018. Bangladesh Fahima Khatun bowled by O'Reily, Final, ICC Women's World Twenty20 Qualifier at Utrecht, Jul 14th 2018. 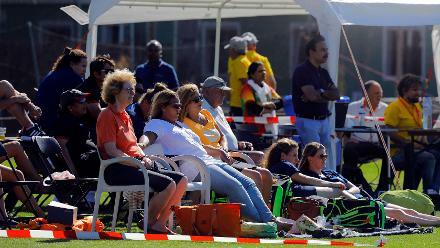 Crowd during the match Bangladesh v Ireland, Final, ICC Women's World Twenty20 Qualifier at Utrecht, Jul 14th 2018. 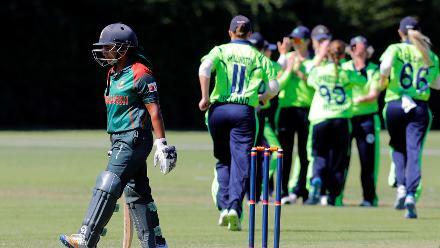 Bangladesh batsman Salma Khatun (c) is run out by (Lewis), Final, ICC Women's World Twenty20 Qualifier at Utrecht, Jul 14th 2018. Bangladesh batsman Panna Ghosh is bowled, Final, ICC Women's World Twenty20 Qualifier at Utrecht, Jul 14th 2018. 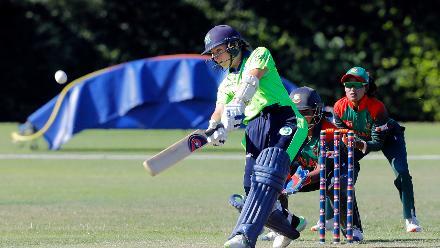 Ireland batsman Shillongton Plays a shot, Final, ICC Women's World Twenty20 Qualifier at Utrecht, Jul 14th 2018. Bangladesh Bowler Jahanara Alam celebrates the dismissal of CNIM Joyce, Final, ICC Women's World Twenty20 Qualifier at Utrecht, Jul 14th 2018. 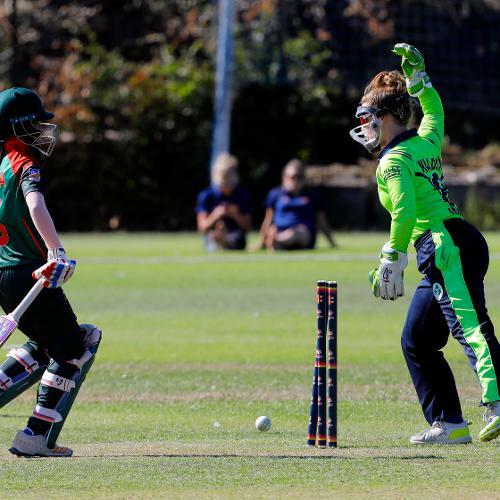 Ireland Captain Delany dismissed by Panna Ghosh, Final, ICC Women's World Twenty20 Qualifier at Utrecht, Jul 14th 2018. 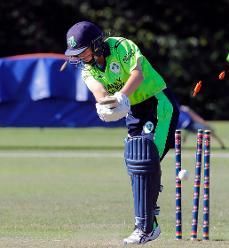 Ireland batsman Lewis plays a shot, Final, ICC Women's World Twenty20 Qualifier at Utrecht, Jul 14th 2018. 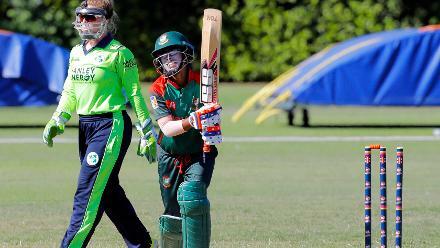 Ireland batsman GH Lewis is stumped by Shamima Sultana bowled by Rumana Ahmed, Final, ICC Women's World Twenty20 Qualifier at Utrecht, Jul 14th 2018. 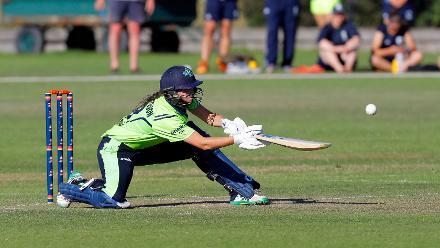 Ireland batsman Richardson Plays a shot, Final, ICC Women's World Twenty20 Qualifier at Utrecht, Jul 14th 2018. Bangladesh Players celebrate the win over Ireland, Final, ICC Women's World Twenty20 Qualifier at Utrecht, Jul 14th 2018. 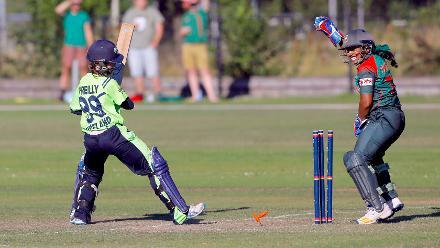 LK O'Reilly is bowled by Nahida Akter, Final, ICC Women's World Twenty20 Qualifier at Utrecht, Jul 14th 2018. 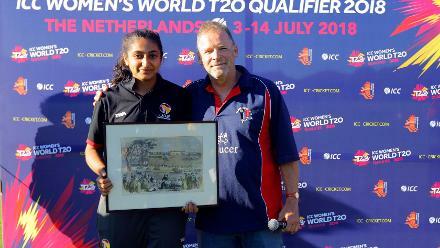 UAE Player recieves the Best catch award from Mr Eric Van during the presentation ceremony, Final, ICC Women's World Twenty20 Qualifier at Utrecht, Jul 14th 2018. 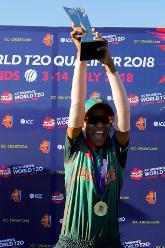 Bangladesh capt Salma Khatun with the trophy, Final, ICC Women's World Twenty20 Qualifier at Utrecht, Jul 14th 2018. 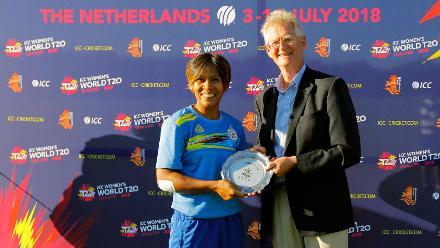 Panna receiving the Player of the Match from Ms Barbara during the presentation, Final, ICC Women's World Twenty20 Qualifier at Utrecht, Jul 14th 2018. 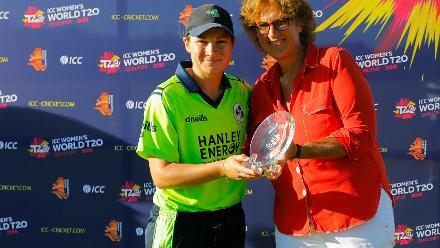 Clare Shillington receiving the Player of the Series Award from Ms Betty during the presentation ceremony, Final, ICC Women's World Twenty20 Qualifier at Utrecht, Jul 14th 2018. 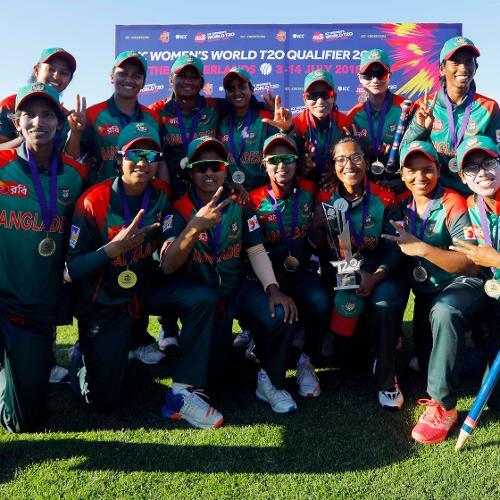 Bangladesh capt Salma Khatun with teammates poses with the trophy as the Bangladesh Team qualifies for T20 World Cup, Final, ICC Women's World Twenty20 Qualifier at Utrecht, Jul 14th 2018. 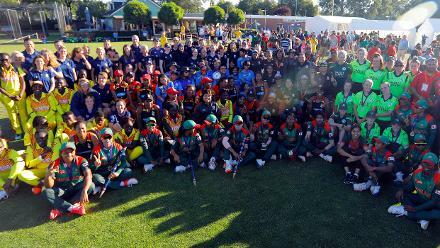 All of the teams pose for a Group shot, Final, ICC Women's World Twenty20 Qualifier at Utrecht, Jul 14th 2018.